Like any self-respecting Caucasian male working in the technology field, I am a Star Wars fan. Lucas’s films deserve credit as a landmark cinematic achievement and understandably attract legions of new fans every generation ensuring that the phenomenon (and Lucas’s net worth) continues to grow unabated. I purchased the overpriced VHS copies only to trade them in for overpriced DVD copies only to discover that my DVD copies were inferiorly re-mastered when the enhanced DVD copies were released several years later. I am drawing the line at Blu-Ray. Before you dismiss this as the misguided creation of a few socially-inept suburbanites, keep in mind that Jediism now appears on the official census forms in Britain, Canada, Australia, New Zealand, and most recently, the Czech Republic. Not only does it appear on the form, but people are actually identifying it as their practiced religion. When the Czech Republic tabulated its March 2011 census data, they found that over 15,000 considered themselves practicing Jedi. 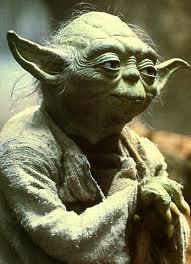 In England and Wales, the number of Jedi exceeded the number of Jews. At any rate, Jediism’s founder, Daniel Jones (Jedi name Morda Hehol) made headlines in 2009 for refusing to remove his hood while shopping at a Wales supermarket. The store’s manager cited security concerns but Jones insisted he was required to cover his head on religious grounds. Last year, another adherent was asked to remove his hood while visiting an employment center in England. After he complained of discrimination, a district manager issued a written apology explaining that the location’s staff did not intend to offend his beliefs. Anyone who has ever listened to regional talk radio can tell you that ignorance not only exists, it may actually qualify as its own religious movement. One day I tuned into a discussion about Michael Jackson’s musical legacy only to hear a caller spend two minutes informing the audience that Jackson was overrated and that Pippen had carried him in the 96’ playoffs before the host was able to convince him that Michael Jordan was still alive. The idea that “there is no chaos, only harmony” was shattered for me the first time I took our nieces and nephews into a Chuck-E-Cheese. The place was decorated as if The Wiggles had taken ownership of Caesar’s Palace. At one point, I came close witnessing a skee-ball induced fatality.